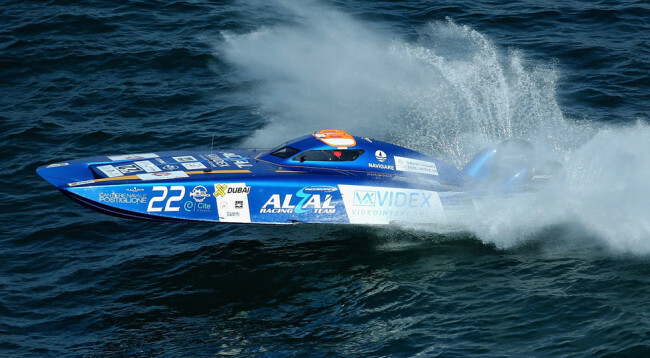 The fifth round of the UIM XCAT Powerboat Word Series was packed with elation and despair with the Italian team, Videx, eventually emerging as the race winners on Saturday. 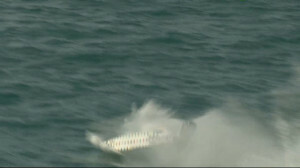 Joakim Kumlin and Alfredo Amato outlasted a field that diminished at a rapid rate as half of the 14 teams didn’t make it to the finish line due to big waves and rough conditions. Fellow Italian team T-Bone Station (Giovanni Carpitella and Luca Fendi) finished second with Team Abu Dhabi (Rashed Al Tayer and Faleh Al Mansoori) overcoming initial problems and overtaking a very disappointed Swecat team (Erik Stark and Mikael Bengtsson), who broke down on the final lap, for third spot. 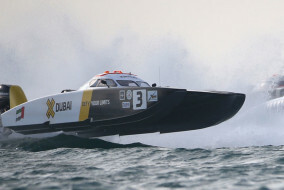 Overall Series leaders and defending champions XDubai, who started the race in Pole Position, succumbed to a gear casing fault in the sixth lap of the race, meaning they could not continue. Not only did that mean retirement for Arif Al Zaffain and Nadir Bin Hendi in front of a home crowd, but also that the Series remains up for grabs with the final race of the season coming up in Abu Dhabi next weekend. 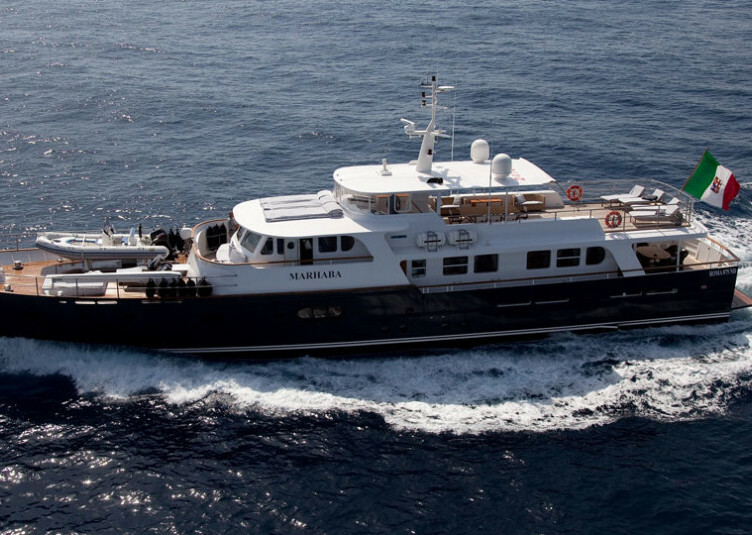 Team Abu Dhabi are now just one point behind XDubai going into that race. 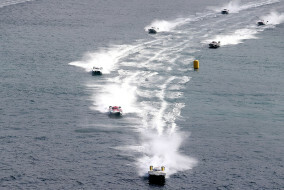 Meanwhile, Saturday’s race also saw the Six team of Tomaso Polli and Matteo Nicolini taking an underwater dive while leading the race on lap nine but still managing to keep the engines running and making it to the penultimate lap. That meant they could still claim 15 all-important championship points, which keeps them in third spot overall. 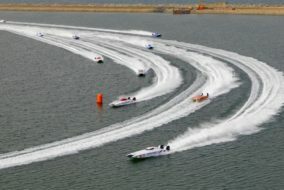 Had they avoided the dip and held their lead to win the race, the Italians would now have been leading the Series heading into the final race. But the day belonged to Videx in the end and Kumlin was thrilled with the victory. 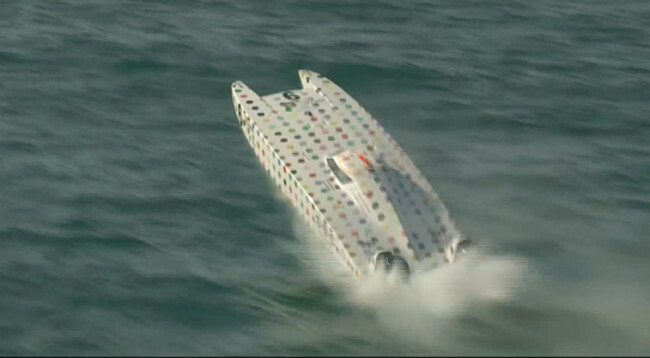 It wasn’t easy for them either, as the Videx boat’s engine cowling came loose in the closing laps. 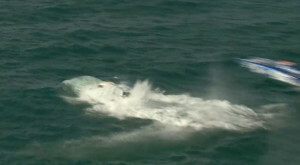 Had that come off and the engine taken in water, it could have spelled the end of their chase for the race win – the first for an Italian team in two and a half years of XCAT racing. 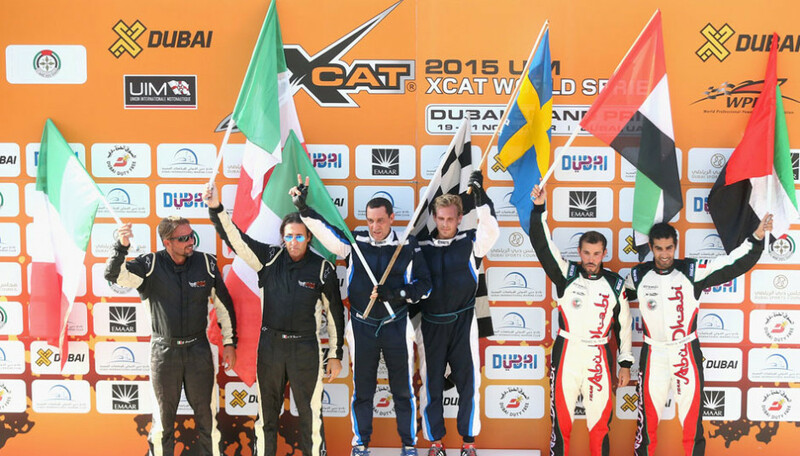 XCAT action now moves to Abu Dhabi for the final, deciding race of the 2015 UIM XCAT World Series from 25-27 November.